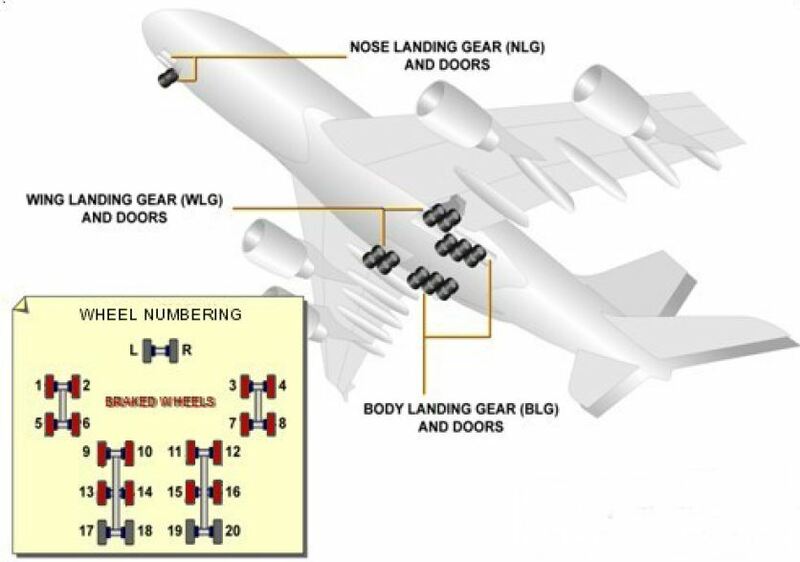 I am producing a technical book about Big Jets (jets bigger than A320s and B737s right up to and including the A380). For aspiring aviators who are pursuing a career flying Big Jets and for commercial aviation pilots, the big jets book will provide an in-depth and technical explanation for aircraft designs and aircraft operations. Unlike other aviation books, the big jets book will give the background for any pilot who is about to embark on a career flying Big Jets. It will provide deep technical analysis for those who want to extend their knowledge beyond the flight manuals. It will also analyse the elements of Leadership, Management and Human Factors. The read of QF32 saga was not unlike reading the Isaac Asimov books or Dale Brown’s aviation fiction. The difference being that this is the best account of real drama in the sky. The amount of detail is astounding. I rarely witnessed such airman-ship and such cockpit crew harmony during my 36 year working life in Australia as a Air Traffic Control and Flight Safety Officer. Thank you Peter for your kind words. It’s the individual’s passion, application and execution that has made aviation the most respected profession with its remarkable culture and safety record. Aviation is an example of an expert coordinated world-wide team effort of the most gargantuan proportions. The aviation industry does its high risk job day-in and day-out without fanfare and generally without recognition for its remarkable accomplishments and success. We are all members of aviation’s band of brothers. So It is my privilege in my book (QF32) to identify the professionals that made (and make) this profession great. It’s in my blood, it’s in my father’s blood and it’s clearly in yours too. Thank you for your 36 years of contributions and care that provided safe passage for millions. Many thanks for your amazing book-I “ve completely lost in it and couldn’t put it down and packed up my job. 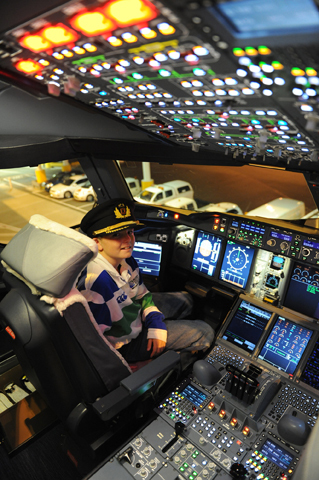 You are a solid role model for a young generation ( and my two sons) Now we are trying to repeat this flight in Flight Sim. Good luck to you and your family, Captain. Wow. Just finished reading QF32 and was absolutely amazed by the amount of detail that you described. Personally for me it bought back a lot of great memories as I was based at Williamtown (77SQN) between 1985 – 1987 as a Mirage Electrical Fitter. Additionally, I am also in the SQN photo taken at Williamtown and was there when both Craig M and Rick J had their tragic accidents. I had the opportunity to prep their Mirages many times. They also showed great pride and professionalism. I also left the RAAF and commenced with QANTAS as an unlicensed engineer back in 1989. As you described in the book the money back then was insufficient to comfortably pay a mortgage at 17.5%. As such, I left the aviation industry and haven’t been as happy or as satisfied since. I truly found reading QF32 aspiring. Congratulations, you are the real thing. Have just finished QF32 in just a few days. Well written, with just enough about Richard and his career, a little about Qantas and the lead up to the 747-400 and the 380, then the incident itself. May I comment that the book Big Jets may not only be snapped up by future pilots but by simple folk like me who have that fascination with flying, aircraft, incidents, and the story behind what we fly inside. I hope that the general public will be able to procure a copy. Richard’s book is truly unique, it has inspired me to push myself further and pursue my goals,and it makes me believe i can become a pilot. Thank you, Richard. 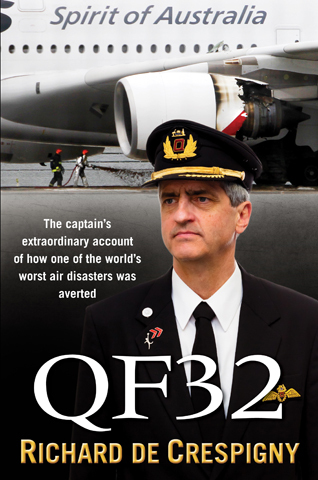 Just finished reading QF32. Could not put it down once I started reading. Thank you for a brilliant account of what happened and I especially appreciate the account of the CRM interaction during the entire incident. I have learned a lot out of this first reading and I am certain I will still learn more as I return to reading QF32 again and again. Thank you again for having shared your experience with all of us. Many happy landings, Theo Swarts.